Is your VNO business growing, thriving and delivering great profitability? Or is it stuck in a rut, has it hit a wall, or worse still, is it on the downward spiral to oblivion? 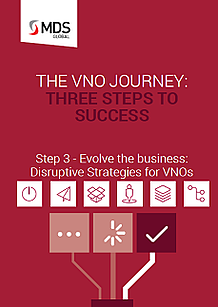 Read the final instalment in our series of three whitepapers that explore how VNOs can get their businesses back on track. In this third paper, we look to the future and investigate the disruptive strategies and innovative approaches that will enable new propositions and even new launches from VNOs. 4. Use new technologies, media, channels and thinking to deliver against what your customers need.